How many times have you lost a good employee? Sometimes even to competition? How can these other employers attract away your people? What are the root causes? What can you do about it? 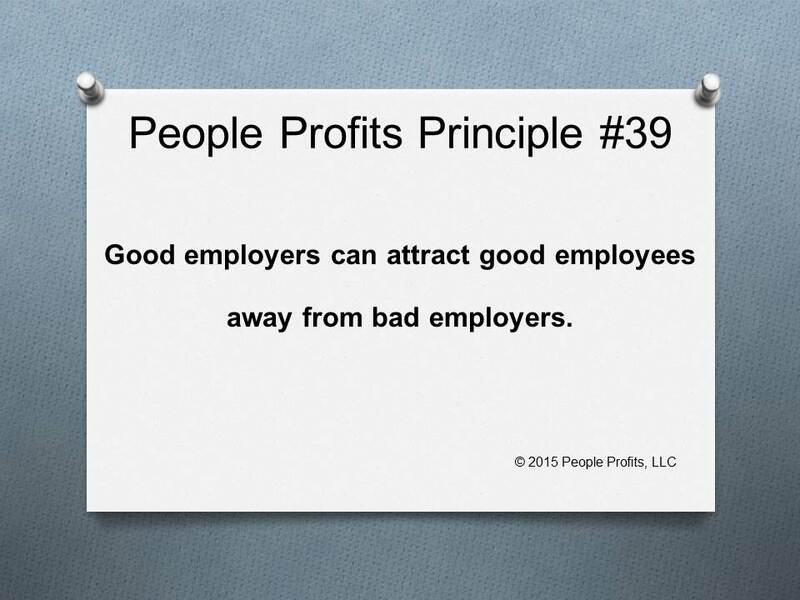 People Profits has seen it so many times, the good employees will be attracted by a "good" employer away from a "bad" employer. It is virtually never because of money and benefits. It is always a function of how the employee feels about the two employers.